Scott David Zolak (born December 13, 1967) is a broadcaster and retired American football quarterback who played in the National Football League (NFL) for nine seasons. Over the course of his career, he played in 55 games for the New England Patriots and Miami Dolphins, completed 124 of 248 passes for 1,314 yards, threw eight touchdowns and seven interceptions, and finished his career with a passer rating of 64.8. A graduate of Ringgold High School and the University of Maryland, Zolak was selected 84th in the 1991 NFL Draft by the New England Patriots. He did not play in 1991, but started four games in 1992 and had his most productive season statistically. When Drew Bledsoe was drafted in 1993, Zolak became his backup for the next six seasons. He appeared as a replacement for Bledsoe when he was hurt, but only started three games during this time. He was released at the end of the 1998 season, and signed with the New York Jets and Miami Dolphins in 1999, playing in one game for Miami before retiring. After his retirement, he became a sportscaster and football analyst in the New England area. Zolak was born on December 13, 1967 in Pittsburgh, Pennsylvania. As a child, he acted as the waterboy for the football team at Ringgold High School in Monongahela, Pennsylvania, where his father, Paul, worked as head coach and athletic director. Future NFL quarterback Joe Montana played for Ringgold during this time and gave Zolak a football, which he later rubbed for good luck before every game. When Zolak attended Ringgold High School himself, he was the team's starting quarterback and punter, and lettered four times. Zolak also played on the Ringgold basketball team as a forward, and was a four-time letterman in that sport as well. As a result of his football performance, he was invited to participate in the Big 33 Football Classic, which featured the top high school football players in Pennsylvania. After graduating from high school, Zolak played college football at the University of Maryland. He sat out his freshmen year, and became the third-string quarterback behind Dan Henning and Neil O'Donnell after two quarterbacks transferred. By the end of his sophomore season, Zolak was challenging O'Donnell for the starting job after Henning graduated. As his junior year began, in the summer of 1988, offensive coordinator Bob Valesente said that Zolak was making tremendous strides as a quarterback, but O'Donnell was the starting quarterback that year. Zolak's first collegiate appearance came against West Virginia. He completed four of six passes for 28 yards, but had an interception returned for a touchdown by Bo Orlando in a 55–24 loss. He appeared in four games for Maryland that season. Zolak was again the backup behind O'Donnell in 1989. He played in eight games, completing 33 of 69 passes for 407 yards and two touchdowns. In 1990, after O'Donnell graduated and began his NFL career, Zolak became the starter for Maryland, and head coach Joe Krivak had high hopes for him heading into the season. In his first start as a senior, Zolak completed a school record 28 passes in 46 attempts for 303 yards and two touchdowns, including a 51-yard pass to Gene Thomas with 61 seconds left that gave Maryland the win against Virginia Tech, 20–13. The following week, he once more featured in a dramatic conclusion, throwing a 59-yard touchdown pass to Gene Thomas with 2:27 left to beat 25th ranked West Virginia, 14–10. However, he was struggling in other aspects of his game. In an October game against Georgia Tech, Zolak was sacked 10 times. In four games, he had been sacked 23 times and had a pass intercepted 12 times. By the end of the season, as Maryland was preparing to face Louisiana Tech in the 1990 Independence Bowl, he had thrown 225 completed passes in 418 attempts for 2,589 yards and 10 touchdowns. The teams tied, 34–34, in Zolak's final collegiate appearance. At the time of his graduation, he ranked fifth in school history with 270 pass completions, seventh with 3,124 career passing yards, and second with 2,589 passing yards in a season. He was also named Atlantic Coast Conference Offensive Player of the Week four times. The New England Patriots selected Zolak with the 84th pick in the fourth round of the 1991 NFL Draft. Scouting reports noted that his size and arm strength were great for the NFL, though there were concerns about his accuracy. Upon drafting him, Patriots Vice President of Player Operations Joe Mendes agreed that his size and arm would translate to the NFL, and he was not worried about any accuracy issues. His drafting led to a shakeup with the Patriots' current quarterbacks, as Marc Wilson announced his retirement and longtime starting quarterback Steve Grogan was released. Zolak agreed on a contract with the Patriots in July, and was the second-to-last person to hold out after Leonard Russell. Zolak spent the 1991 season as the third-string quarterback, behind Hugh Millen and Tommy Hodson, and did not take the field. "It's a heck of an honor considering the other quarterbacks in the league and the other AFC offensive players that are in the AFC. I'm wowed by it right now. I couldn't have done it without the other 10 guys." Scott Zolak upon winning AFC player of the week honors, The Hartford Courant, November 19, 1992. At the start of the 1992 season, Zolak also looked unlikely to appear, being behind Hodson and Millen on the depth chart. Millen started the first five games before being injured, and then Hodson became the starter. In early November, Zolak made his professional debut in the fourth quarter against the New Orleans Saints. Relieving Hodson, he completed five of nine passes and threw an interception as the Patriots lost, 31–14. The next week, Zolak made his first career start when the still winless Patriots faced the Indianapolis Colts. He completed 20 of 29 passes for 261 yards, two touchdowns, and an interception in the Patriots' first win of the season, 37–34. As a result of his performance, he was named the American Football Conference (AFC) Player of the Week. The next week, Zolak led his team to their second victory of the season against the New York Jets. He completed seven of 16 passes for 102 yards, getting help from Jon Vaughn who had 110 rushing yards, and the Patriots won, 24–3. However, the following week's performance against the Atlanta Falcons was less impressive. He completed nine of 16 passes for 58 yards and two interceptions in the Patriots' losing effort, and he said it felt like he was "on a desert island by myself." After Zolak's performance against Atlanta, he lost the starting job, and Millen again filled that role. However, Millen suffered a shoulder injury against the Colts, and after Zolak played part of the game against Indianapolis, he again became the starter for the game against the Kansas City Chiefs. Zolak injured his ankle at the end of the third quarter, making the appearance against Kansas City his last for the season as Jeff Carlson took over quarterbacking duties. Zolak finished the season with 52 pass completions in 100 attempts, 561 yards, two touchdowns, four interceptions, and a quarterback rating of 58.8. In 1993, the Patriots and new head coach Bill Parcells were looking to improve the quarterback spot on their roster. They signed Scott Secules, and attempted to sign Steve Beuerlein, but the latter deal did not happen. They also gave Hugh Millen permission to seek a trade. In April, Millen was traded to the Dallas Cowboys, and the Patriots chose Drew Bledsoe with the first pick in the 1993 NFL Draft. During the offseason, Carlson was released, leaving Secules, Zolak, Bledsoe, and Hodson to compete for the three spots on the roster. By the end of the preseason, Bledsoe had won the starting job and Hodson had been cut, with Secules as the backup and Zolak as the third-string quarterback. Zolak saw playing time in three games in 1993, and threw two incomplete passes. He became a restricted free agent in the offseason, but re-signed with the Patriots for three years. As Secules was released during preseason, Zolak was set as Bledsoe's backup as the 1994 season began. As was the case in the 1993 season, he did not make a starting appearance, as Bledsoe played the full 16 games, however Zolak did see action in every game, primarily as the holder for extra point and field goal attempts. Over the course of the season, he completed five of eight passes for 28 yards in the two games in which he saw time at quarterback. The 1995 season was similar, with Bledsoe starting and Zolak backing him up. In September, Bledsoe separated his left shoulder in a game and sat out a week to heal, allowing Zolak to make his first start since 1992. On October 1, 1995, Zolak took the field against the Atlanta Falcons, and completed 24 of 45 passes for 252 yards and a touchdown, though the Patriots lost the game, 30–17. Although Bledsoe's doctors wanted him to sit out another week, he refused and played the next week's game against the Denver Broncos. This again relegated Zolak to the backup position, where he remained for the rest of the season. He finished the season with 28 completed passes in 49 attempts for 282 yards, a touchdown, and a quarterback rating of 80.5. The 1996 season began well for Zolak, whose contract was extended through 1998. However, to remain with the Patriots, Zolak took a $250,000 pay cut to work around the salary cap. While he appeared set to keep his backup job heading into training camp, he faced tough competition from Jay Barker. While Zolak welcomed the challenge, his status as the backup quarterback began to seem uncertain a few weeks into training camp. By the end of training camp, Barker had been cut, and Zolak's quarterback job was safe. He took the role of emergency quarterback throughout the 1996 season, with Bledsoe taking nearly all the snaps and Tom Tupa serving as the backup upon his signing. Zolak played in three games, completing one pass for five yards. He saw some playing time in the playoffs against the Pittsburgh Steelers, but did not play in Super Bowl XXXI. Parcells ordered Zolak to lose weight, which Zolak did throughout much of the season. The 1997 season was more of the same for Zolak, backing up Bledsoe, though the Patriots did have a new coach in Pete Carroll. As training camp ended, Zolak gained significantly more playing time during drills and the preseason matchups then he had under Parcells. As the regular season came and went, however, he had minimal playing time. Zolak saw action in four games, completing six of nine passes for 67 yards and two touchdowns, giving him a quarterback rating of 128.2. With Zolak coming to the final year of his contract in 1998, he sat in his usual spot on the depth chart, in between starter Bledsoe and third stringer Tupa. He saw playing time in three games during the first three months of the season in relief of Bledsoe. His most significant appearance during this time came against the Atlanta Falcons on November 8, 1998, where he completed three of ten passes for 33 yards and an interception in a 41–10 loss. Near the end of the month, Bledsoe was sidelined with an injury and was questionable for the final November game. Bledsoe played in three more games, but his injury kept him from playing in the final two, giving Zolak his first starting appearance since 1995. Zolak's first start came against the San Francisco 49ers on December 20. He completed 14 of 30 passes for 205 yards, two touchdowns and two interceptions and won the game, 24–21. He faced the New York Jets the following week, completing 14 of 31 passes for 127 yards and a touchdown, but lost the game 31–10. Zolak finished the season with his most productive totals since 1992. He played in six games and started two, completed 32 of 75 passes for 371 yards, three touchdowns, three interceptions, and had a passer rating of 61.8. Zolak's last appearance for the Patriots occurred in the playoffs, as Bledsoe was still injured, against the Jacksonville Jaguars. He completed 21 of 44 passes as the Jaguars eliminated the Patriots from playoff contention in a 25–10 loss. He became an unrestricted free agent after the season ended, but was not asked back by the Patriots, ending his tenure there. After leaving the Patriots, Zolak was signed to a one-year contract by the New York Jets. With Vinny Testaverde considered the starter, Zolak was competing against Ray Lucas for a backup job. He was the second-string quarterback as training camp began, but his competition increased when the Jets signed Rick Mirer and left three quarterbacks to battle for two open spots on the team. Two days after acquiring Mirer from the Green Bay Packers, the Jets released Zolak. 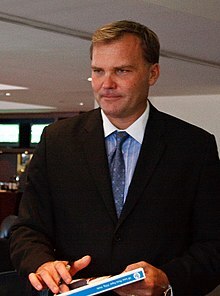 In October, Zolak was signed to a one-year deal by the Miami Dolphins to serve as the backup quarterback behind Damon Huard and Jim Druckenmiller. He was later made the backup behind Huard, and made his only appearance of the season on November 21, failing to complete a pass in four attempts against the Patriots. As the 1999 season wrapped up, the Dolphins signed Zolak to a contract extension, keeping him on the team for another year. Despite the retirement of Dan Marino, the Dolphins cut Zolak in May 2000. Zolak trained for the Detroit Lions during the summer after they lost Mike Tomczak for the season, but instead he signed on as a host for Patriots Gameday alongside Bob Lobel in August, ending his professional football career. Zolak resides in Massachusetts with his wife Amy and his three children (Hadley, Samantha, and Brody). His daughter, Samantha, was diagnosed with Type 1 diabetes, and Zolak has since been investigating causes of the disease. After retirement, Zolak became a co-host of a morning sports radio talk show on Rhode Island sportstalk station "The Score" (WSKO/790 & WSKO-FM/99.7) until the show was canceled in 2008. He was also a football analyst for the CBS College Sports Network, as well as on the New England sports program Out of Bounds on the Comcast channel hosted by Gregg Murphy. In addition, Scott was a frequent guest host on The Big Show on WEEI in Boston before joining Gary Tanguay for the midday slot on "The Sports Hub" 98.5FM WBZ-FM, which covers the Boston area. Zolak is currently co-host of "Zolak and Bertrand" on "The Sports Hub" with Marc "Beetle" Bertrand. For the 2008 NFL season, Zolak joined WCVB-TV (ABC Boston) as the station's Patriots analyst and also appeared on "SportsCenter 5 OT" on Sundays with Mike Lynch. The previous year, he had worked with Lynch covering high school games. In September 2010, the United Football League announced that Zolak would do color commentary during live games on the New England Sports Network. Zolak also contributes to "Patriots All Access", part of the New England Patriots' website. On August 8, 2012, Zolak was named the new color analyst for Patriots radio broadcasts joining Gil Santos and replacing Gino Cappelletti. Prior to the 2013 NFL season, Santos retired and was replaced by Bob Socci. ^ a b "Chalk Talk". The Miami Herald. November 15, 1992. p. 6D. ^ a b c d e f g "Scott Zolak – Official New England Patriots Biography". Patriots.com. Retrieved May 24, 2009. ^ Eskenazi, Gerald (November 21, 1992). "Football; Zolak the Unfathomable To Lead Pats Against Jets". The New York Times. Retrieved May 24, 2009. ^ White, Mike (August 4, 1986). "Harris, Owens: Big 33's potent pair". Pittsburgh Post-Gazette. p. 14. ^ Jenkins, Sally (February 10, 1987). "Maryland's Komlo to Transfer; Backup Quarterback Wants More Playing Time". The Washington Post. p. e1. ^ Sell, Dave (March 23, 1988). "Maryland Starts Practicing". The Washington Post. p. f9. ^ Sell, Dave (August 12, 1988). "O'Donnell Wants Fun From Start; He and Terrapins Seek Early Success". The Washington Post. p. f3. ^ Sell, Dave (September 18, 1988). "Miami Rallies, 31-30; Terrapins Routed; Mountaineers Pull Away in 2nd Half, 55-24". The Washington Post. p. d1. ^ Cotton, Anthony (August 29, 1990). "Terrapins Have Two Players Fail to Make Grade; Offensive Starter Falls Just Short". The Washington Post. p. c2. ^ "Tech Victory Just Out Of Reach Terps Win Opener 20-13 On Late TD". The Roanoke Times. September 2, 1990. p. C1. ^ "Maryland Rallies, Stuns West Virginia". The Charlotte Observer. September 9, 1990. p. 10D. ^ "Georgia Tech Has 11 Sacks, Bags Maryland, 31-3". Los Angeles Times. October 7, 1990. p. 10. ^ "Maryland's Defense Will Get Tested". Los Angeles Times. December 15, 1990. p. 18. ^ "Scott Zolak". sports-reference.com. Sports Reference LLC. Retrieved September 14, 2016. ^ Mitchell, Fred (April 18, 1991). "Quarterback not among Bears' priorities". Chicago Tribune. p. 3. ^ Tallarico, Sam (June 2, 1991). "'Lucky' Zolak set to battle for Patriots job". The Pittsburgh Press. p. W11. ^ "Ex-Patriot Grogan seeks backup role". St. Petersburg Times. April 30, 1991. p. 6c. ^ Borges, Ron (July 19, 1991). "Russell Is Last Rookie Holdout". The Boston Globe. p. 41. ^ a b Price, Terry (November 19, 1992). "Zolak named AFC player of the week". The Hartford Courant. p. D2. ^ Price, Terry (November 10, 1992). "Zolak likely to get the ball Patriots will take a look at third-string quarterback Zolak set to start". The Hartford Courant. p. E1. ^ "Spotlight; A Glance At This Week In The NFL Not Super". Los Angeles Times. November 16, 1992. p. 4. ^ Price, Terry (November 23, 1992). "Patience rewarded for Zolak, Vaughn". Hartford Courant. p. D5. ^ Price, Terry (November 30, 1992). "Zolak's confidence unshaken". The Hartford Courant. p. D5. ^ Cunningham, Joe (December 13, 1992). "Surprising Chargers Next Test For Klingler". Dayton Daily News. p. 11D. ^ Caesar, Dan (December 14, 1992). "Farewell Finale". St. Louis Post-Dispatch. p. 3C. ^ a b c d e f g h "Scott Zolak Statistics". Pro-Football-Reference.com. Sports Reference, LLC. Retrieved May 29, 2009. ^ Price, Terry (March 25, 1993). "Patriots give up on Millen". The Hartford Courant. p. C2. ^ "Cowboys obtain Millen to fill quarterback void". The Victoria Advocate. April 27, 1993. p. 1B. ^ "Pats send Hodson packing; Baker Giant casualty". Sun Journal. August 24, 1993. p. 23. ^ Borges, Ron (April 2, 1994). "Patriots Re-sign Coates Harlow In The Fold, Too". The Boston Globe. p. 61. ^ "Patriots' Bledsoe To Miss Falcons". Chicago Tribune. September 27, 1995. p. 6. ^ Potash, Mark (October 2, 1995). "First-Rate Play by Second-String Quarterbacks". Chicago Sun-Times. p. 83. ^ Borges, Ron (October 5, 1995). "Bledsoe Wants In Sunday Against Doctor's Advice, He Says He's Ready To Go". The Boston Globe. p. 90. ^ "Transactions". The New York Times. June 3, 1996. p. C8. ^ Price, Terry (August 28, 1996). "Zolak Knows From Start With Patriots, He's Second To Bledsoe And Accepts It". The Hartford Courant. p. C3. ^ Madden, Michael (August 16, 1996). "Zolak Won't Dwell On Idle Thoughts". The Boston Globe. p. E2. ^ Cafardo, Nick (January 5, 1997). "If Need Be, Martin Ready To Carry Day". The Boston Globe. p. E9. ^ Solloway, Steve (August 29, 1997). "Pats' Zolak Not Itchy After Seven Years". Portland Press Herald. p. 1D. ^ "Mathis Impresses Reeves, Falcon Does Great Job Of Blocking". Worcester Telegram & Gazette. November 9, 1998. ^ Cafardo, Nick (November 26, 1998). "Quarterback Options Weighed Zolak May Have Chance To Take A Hike". The Boston Globe. p. C1. ^ "NFL Notebook: Pro Bowl; White Is Picked For the 13th Time". The New York Times. December 17, 1998. p. D6. ^ Ryan, Bob (December 21, 1998). "So Far, Zo Good For Backup QB Turned Starter". The Boston Globe. p. C1. ^ Cafardo, Nick (December 29, 1998). "Zolak's motto remains the same: Be prepared". The Boston Globe. p. E2. ^ "Jaguars 25, Patriots 10". United Press International. January 3, 1999. ^ a b "Zolak Signs A 1-Year Deal As Backup Quarterback With Jets". The Boston Globe. April 28, 1999. p. C2. ^ "Jets Squeeze By Eagles". CBS News. August 21, 1999. ^ "Jets Cut Scott Zolak". United Press International. August 22, 1999. ^ "Zolak Is Signed As 3rd-String QB". The Miami Herald. October 28, 1999. p. 3D. ^ "Zolak Signs Extension". Orlando Sentinel. December 18, 1999. p. D3. ^ "Dolphins Release QB Zolak". The Miami Herald. May 23, 2000. p. 2D. ^ Greenidge, Jim (August 25, 2000). "Sign Him Up For One More Year; Santos is Not Ready to Retire – Just Yet". The Boston Globe. p. E15. ^ "Scott Zolak". pro-football-reference.com. Sports Reference LLC. Retrieved September 14, 2016. ^ "Suburban 'Diabetes Clusters' Prompt Study". The Boston Channel. March 27, 2009. Archived from the original on April 3, 2012. Retrieved May 30, 2011. ^ "Settling score: Scott Zolak and Andy Gresh out". Boston Herald. March 12, 2008. Retrieved June 4, 2009. ^ Finn, Chad (August 7, 2009). "WEEI, Sports Hub expand their rosters". Boston Globe. p. C10. ^ "Marc Bertrand To Join Scott Zolak As Midday Co-Host On 98.5 The Sports Hub". February 12, 2015. ^ Slate, Richard (December 8, 2007). "Everybody loves a winner; Community plays a role in Gloucester's gridiron success". Gloucester Times. Archived from the original on January 24, 2013. Retrieved May 30, 2011. ^ Podheiser, Dan (September 14, 2010). "Mike Logan, Brett Haber, Scott Zolak, John Chandler, Tony Terzi to Broadcast UFL Games on NESN". New England Sports Network. Retrieved November 17, 2010. ^ "All Access". New England Patriots. Archived from the original on May 30, 2011. Retrieved May 30, 2011. ^ "Scott Zolak To Replace Gino Cappelletti On Patriots Radio Broadcasts". CBS Boston. August 8, 2012. Retrieved August 8, 2012. ^ Duff, Dale (August 8, 2013). "Bob Socci Set To Replace Gil Santos[Video]". 92.9 The Ticket. Retrieved November 22, 2017. ^ "Tom Brady TD inspires 'unicorns' and 'showponies' radio call". CBS Sports. October 13, 2013. Retrieved October 14, 2013. ^ "Scott Zolak, Bob Socci Go Bonkers Following Tom Brady's Game-Winning Touchdown Pass to Kenbrell Thompkins (Audio)". NESN. October 13, 2013. Retrieved October 14, 2013. ^ "Patriots Broadcaster Scott Zolak Shouts About Show Ponies And Unicorns For Game Winner". Awful Announcing. October 14, 2013. Retrieved October 14, 2013. ^ "Audio – The Patriots radio booth was in disbelief over the Seahawks' awful play call". Awful Announcing. February 2, 2015. Retrieved November 22, 2017. ^ Bird, Hayden (February 6, 2017). "Listen to Scott Zolak and Bob Socci's radio call of the Patriots' Super Bowl-winning touchdown". Boston.com. Retrieved November 22, 2017.